Making a great locum tenens match is a mutual concession. 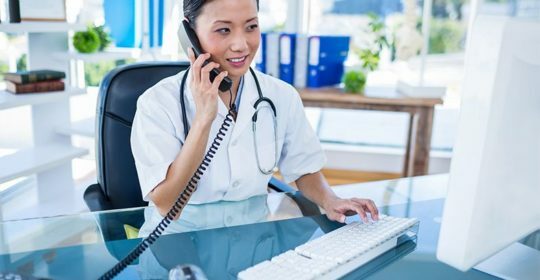 Medical facility commissioners in need of extra temporary staff use many means for screening locum tenen providers, including searching the Internet to read up on physicians’ online reviews. Fortunately, the same holds true for locum tenens providers contemplating assignments at different facilities. After you thin out your options, you may want to do some of your own online research before accepting an assignment. Here, we highlight five resources that provide supplementary insight as you decide on which places best suit your needs. At Healthgrades, you can find information about providers and facilities. When searching for a medical facility, you can see things such as how a hospital likens to national averages based on patient experience rankings, how well a facility rates for patient safety for potentially serious complications, and eminence of care ratings. Ratings are based on patient safety measures as defined by the Centers for Medical and Medicaid Services, outcomes measures, and patient experience measures. Google is often used when researching mostly anything these days. So, when you are presented with an opportunity at a medical facility that is unfamiliar to you, why not start with a Google search? Peek into the top results, and then click over the news sector to see if anything of interest catches your eye. In today’s tech savvy world, most medical facilities have a Facebook page. You will be able to learn more about the facility in their own words as well as learn of others experiences in their reviews section. Glassdoor is a popular site to learn about current and former employees’ reviews of a company and their management. Click on the reviews tab and type in the name of a facility to see their overall star rating. You will have to complete a free registration before you can read about the employees and their experiences. It’s a great way to get an understanding into how past and current employees feel about the employer overall. While online facility reviews and research can help inform the verdicts you make about which locums’ assignments to accept, they should be taken with a grain of salt. At Mint Physicians, every locum tenens provider is assigned a dedicated consultant who is committed to finding prospects that align with their provider’s priorities. Online reviews are a good way to supplement that information and interviews you have with the facility, so you can make the most conversant decision about jobs you accept. Let us help you find the perfect locums’ assignment. Give us a call at 866-312-1177 or view today’s job openings.